I am a sucker for pop culture art and also a bit of a watercolor lover, so this Etsy shop full of amazing portraits definitely caught my eye. There are multiple Clueless numbers, as well as a healthy dose of Audrey Hepburn, Molly Ringwald and Wednesday Addams. Relevant quotes accompany each portrait, and they are all very reasonably priced (even to this cheap-o). Food & Flower Art via Oh I See Red! This site has so much cool art that I hard a REALLY hard time picking just a few samples here. Red describes herself as an artist-architect who likes to paint, but not with a paintbrush. Suddenly paintbrushes feel totally passe when there are carrot sticks, flower petals, and onion peels with which to make art. Are you seeing her version of The Scream? Hello! Check this out. Damn, that's a nice clutch! Believe it or not, Olivia over at Wait Until The Sunset made this from an existing bag and some hologram contact paper. Somehow she also makes it look totally easy. 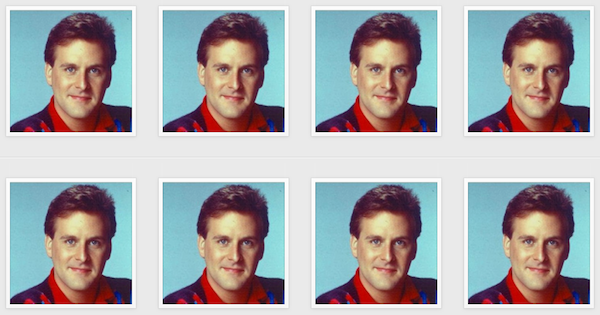 Some saint/lunatic runs this Instagram account which consists solely of, you guessed it, the same picture of Dave Coulier. Every. Single. Day. I would tell you to check it out, but you probably already get the point. It's somehow mesmerizing. I think we've pretty much all had a moment with a Delia's catalog at some point. If that point for you was summer 1996, then you're in luck because some great soul has scanned the ENTIRE THING for us to peruse. I think '96-'99 is the ultimate era for catalog clothes nostalgia and these chunky heels and chain wallets might convince you of that, too. 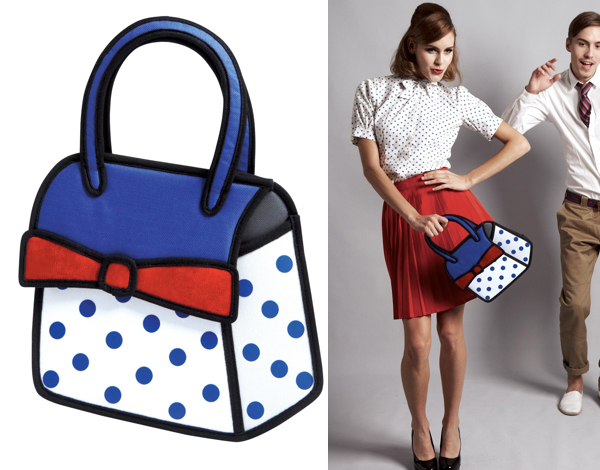 This purse is like a total optical illusion - it's a real life, dimensional purse, but it takes it design inspiration from cartoons to give it that straight-from-the-comic-book-page look. With bold outlines and a misleadingly slim depth, this bag with confuse everyone when you pull out your lunch and cell like it ain't no thang. 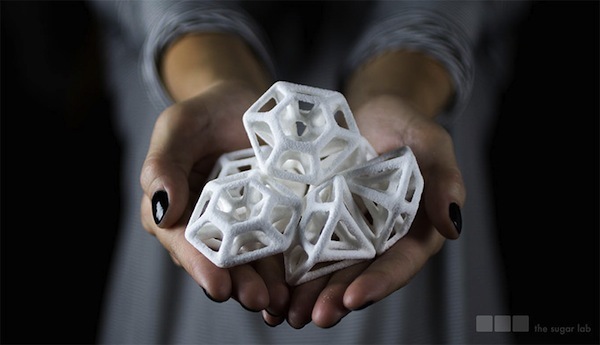 I keep hearing about 3D printers, which to be totally honest I don't entirely understand. I feel like my brain is just not "in the future" enough right now to picture this process. That being said, some creative smarties printed out gorgeous 3D objects made of sugar which can be used for cakes or centerpieces. Before you scroll down, know that these ARE NOT REAL HEADLESS PEOPLE. Ok, got that out of the way for you squeamish types. 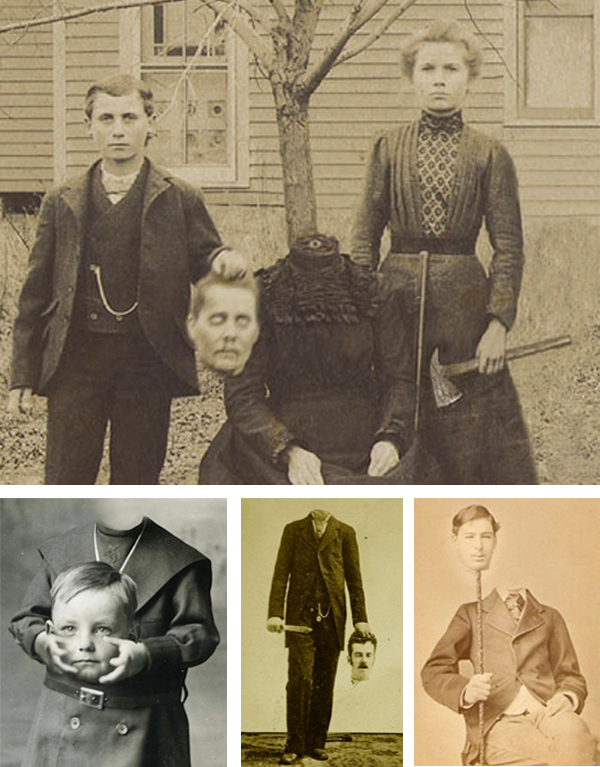 Among other strange habits, the Victorian people were also pretty wild about posing for faux headless photos for some reason. I'm glad they left evidence of their OG-Photoshop skills for us to be confused by forever. Nothing says 'family photo' like Mom's head in your hand, right? What good stuff have you been finding around lately? Very nice post! I enjoyed reading it. Have a sweet day! p.s. link is fixed - thanks a bunch! oh my glob-- so many awesome things in this post! I have been lusting over JFP bags forever and I want that Alice one to be MINE. Those watercolor prints are just amazing! Give me all of them :) AND those Victorian photos are so great. I just read a book on photo editing pre-computers, and it's so awesome how people have been able to manipulate them by layering, erasing, etc. So fascinating!